The gpu is a radeon 7770, i'm using the crtemudriver it was not working before I installed that either. Yes, I really am still working on it! I use model 2 and 3 but am no expert. Why do you have Model2.zip in your ROMS folder? I don't see why it would break it, but unless I'm unaware of something it doesn't need to be there. I can suggest some more obvious things. Maybe try to run as administrator? However you are launching it - is it possible some path needs to be changed when you copied it from your other machine? I use Windows 7 professional. Sorry wish I could help more. Are you doing it from a command prompt or loading the ROM through the GUI? "Computer Space" (1st coin-op game ever) for MAME Front Ends Available Now! To add to above is it the correct version for the machine? I believe there is a 32 and a 64 bit version. Look at the Model 2 guide stickied in the driving cab subforum. There are some older directx runtimes required. Links are in that thread. You'd think having the newest direct x would cover you, but those older runtimes are still required. Just wondering if you manage to fix this? 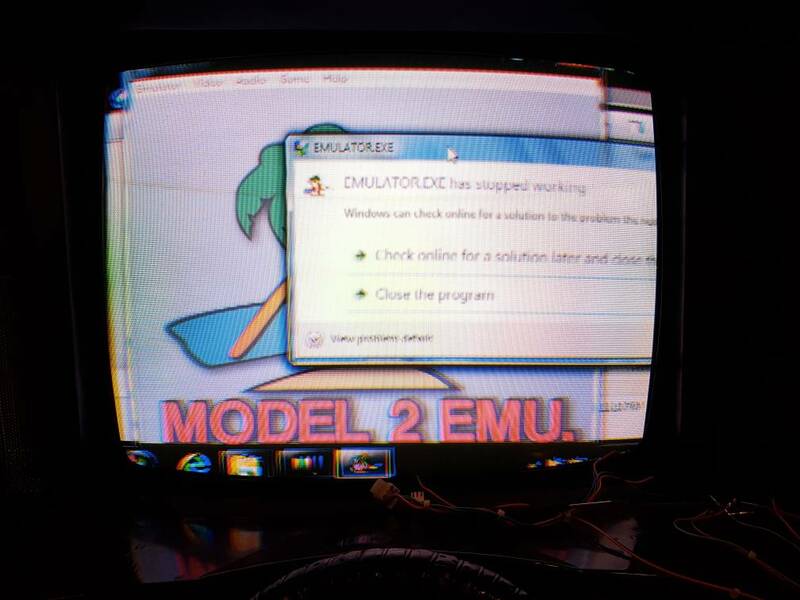 When I use a DVI to HDMI cable connect to a HD LCD monitor, the model 2 emulator works every time. Just wondering if you found a solution?